Cost & Performance: Airtech low temperature vacuum bagging materials provide low cost performance for the manufacture of large structures. Our range provides for resin infusion, pre-preg and hand laminating processing of all commonly used resin systems such as polyester, vinyl Ester and epoxy. 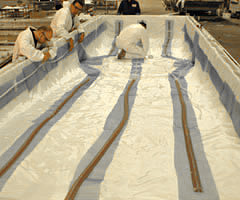 Size: Airtech vacuum bagging materials provide reliable performance for the molding of large wind turbine Structures. Super wide vacuum bagging film up to 40ft (12m) wide and 6.5ft (2m) wide release films simplify and accelerate the production process. Innovation & Engineered Solutions: Our continuous product development delivers performance improvements and cost reductions. 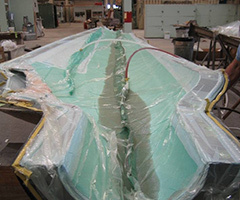 Our engineered vacuum bags and kitting of materials greatly reduce mold side labor.